(From left to right) Top: Peter Schneider, MD; James Iannuzzi, MD; Adam Oskowitz, MD; Elizabeth Anderson, NP; Warren Gasper, MD; Kevin Pham, MD. Middle: Christy Feigenbutz, NP; Bian Wu, MD; Shant Vartanian, MD; Linda Reilly, MD; Devin Zarkowsky, MD; Laura Ellis, NP. Bottom: Charles Eichler, MD; Michael Conte, MD; Monara Dini, DPM; Jade Hiramoto, MD; Alexander Reyzelman, DPM. The Division of Vascular & Endovascular Surgery is an integral part of the UCSF Heart and Vascular Center, a multidisciplinary program which brings together vascular surgeons and other cardiovascular specialists to provide the most advanced and effective treatments for vascular disorders. Faculty members in the Division have achieved national and international recognition as leaders in clinical innovation, surgical education, and research. UCSF Vascular Surgery, in continuous practice since 1951, has long set the standard for treatment of complex problems such as aortic aneurysms extending above the kidneys and blockages of the arteries to the intestines and kidneys. This tradition of excellence and innovation continues with our development of safer and less-invasive techniques for treating vascular disease, including our endovascular aneurysm repair program, catheter-based treatment of arterial blockages, and minimally invasive treatments for varicose veins/venous disease. 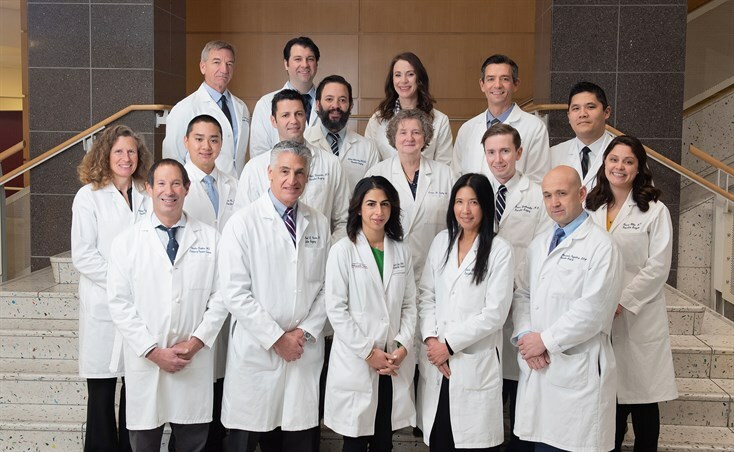 The Division's research program is a leader in the development of device technology for aneurysms, as well as novel biologic therapies to improve the outcomes of bypass surgery, promote new blood vessel growth, and ameliorate the progression of PAD.